We understand how important it is to know your family and property are secure. Buying a Swann security system means you’re choosing a brand focused on making every home and business a safe place, with over 30 years of know how. 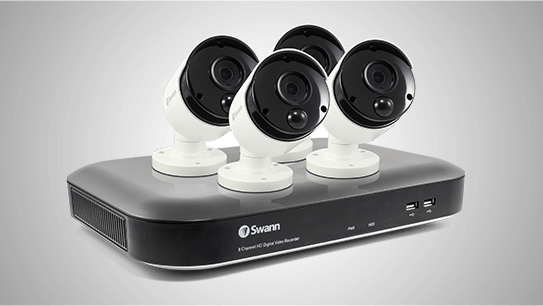 Swann’s Super HD range of wired security systems offer a step-up in resolution from 1080p full HD, that’s 2.4 times clearer, with the ability to see more detail and zoom in for close ups. See more than before with Super HD from Swann. 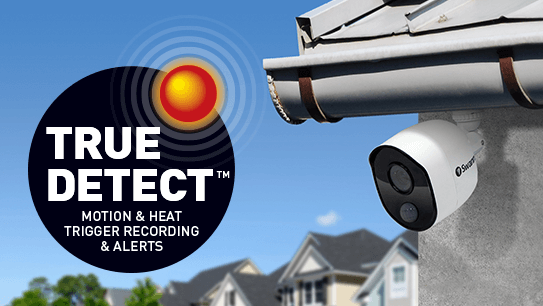 Swann’s True Detect™ security systems and cameras sense the heat and movement of large objects including people, cars and more, to alert you to what’s happening with reliable push notifications to your Smartphone, and saving you time with more efficient video recording and fewer false triggers. It’s truly reliable security. 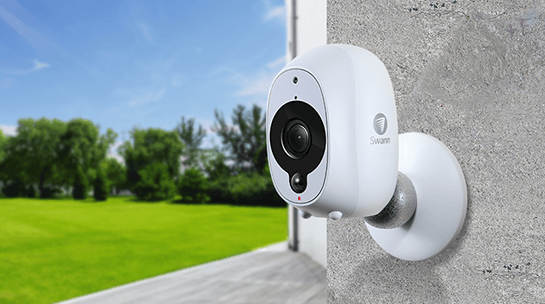 Swann’s Smart Security Camera offers 100% wireless operation with convenient and economical rechargeable battery power, 1080p HD indoor/outdoor video streaming, reliable heat-triggered push notifications and recording to local memory or secure cloud. It’s wire-free and worry-free home security.